A savage, technologically superior race has invaded Earth and humanity is on the brink of extinction. Thankfully, newly discovered cloning technology has given the remaining survivors a last bit of hope. 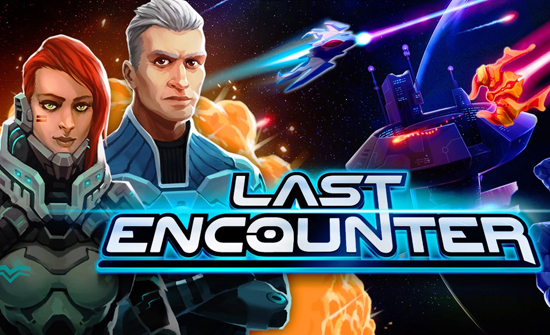 Earth’s remaining pilots must traverse procedurally generated galaxies to thwart the alien onslaught in a final fight for survival. Choose from a variety of pilot clones, each with their own strengths and weaknesses. Pair pilots with distinct ships rigged with diverse attributes and abilities. Salvage and combine weapon components to create the armaments of your wildest dreams and bring an end to the extraterrestrial invaders. Brave the cosmos alone or recruit up to three fellow pilots for fast-paced, engaging couch co-op. Resources are shared, so allies must work together, managing and purchasing weapon components to fight off waves of enemies and bring peace to Earth once again. Now on Windows and Mac. Reinforcements will arrive on Nintendo Switch, PlayStation 4, and Xbox One in late 2018.